The Art Institutes InternationalKansas City is college with 495 students located in Lenexa, KS. The Art Institutes International -- Kansas City is an institution for career preparation in the art, design, media, and culinary-related fields. The Art Institutes International -- Kansas City is a member of The Art Institutes system of schools and is a branch location of The Art Institute of Phoenix. Each program is offered on a year-round basis, allowing students to continue to work uninterrupted toward their degrees. An impressive faculty of working professionals strives to strengthen students' skills and to cultivate their talents through well-designed curricula. Programs are carefully defined with contributions from the professional community. Curricula are reviewed regularly to ensure they meet the needs of a changing marketplace to prepare graduates to seek entry-level positions in their chosen fields. 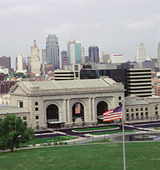 The Art Institutes International -- Kansas City opened its location and began enrollment for classes in 2008. The building's interior is designed with the creative student in mind. Light, spacious classrooms, studios and labs, library, and a student operated restaurant supervised by professional faculty offer a productive working atmosphere. The average student pays $26,742 for tuition, fees, and other expenses, after grants and scholarships. Total stated tuition is $17,568, in-state and on-campus, before financial aid. Learn more about financial aid at http://www.artinstitutes.edu/kansascity/financialaid/. Want more info about The Art Institutes InternationalKansas City? Get free advice from education experts and Noodle community members.